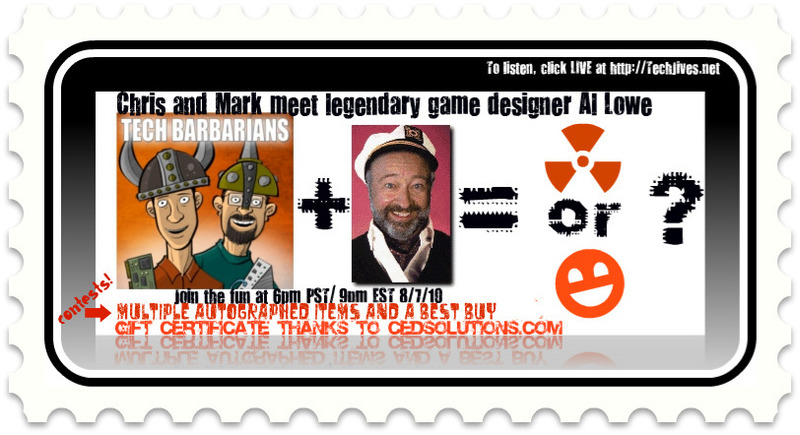 Game designer legend Al Lowe creator of Leisure Suit Larry and many other hit games will be LIVE on Tech Barbarians TONIGHT 6pm PST / 9pm EST! Come join Chris Pope and Mark Eoff this Saturday LIVE for what is sure to be an exciting episode of Tech Barbarians! 2. Multiple autographed 5.25 inch original Leisure Suit Larry 5 floppy disks! Check out this recent interview with Al! Winner of the lifetime Achievement Apple Moofie Awards! Want to know more about Al Lowe? “I was born a poor black child in Gumbo, Missouri…” –that’s how Al Lowe usually opens his résumé. And although it is not true (say what? ), it’s an excellent introduction for a man whose passion is humour. “The world’s oldest computer games designer” (Lowe on Lowe) not only spent well over a decade writing funny games, he might well have introduced humour to computer games at all — with the creation of Leisure Suit Larry. Not that Al Lowe wouldn’t have tried to practise an honest profession. He worked as High School Music Teacher for 15 years. During that time, he got his hands on an Apple II, taught himself to program, and figured that it was time for a career change. So a very talented (and yet unspoiled) Al Lowe spent his nights on creating his first programs — educational software for children. When the publisher Sierra bought the rights to these titles in 1982, it took the man as well. Lowe was employed as to his qualifications, and humour was not yet considered one of them. Instead, Lowe continued to work on edutainment titles. When Sierra acquired a license to some Disney characters, he helped create programs like “Winnie Pooh in the Hundred-Acre Woods,” “Mickey’s Space Adventure” and “Donald Duck’s Playground.” Being something of a jack-of-all-trades, he filled in various positions on various projects: lead programmer (King’s Quest III and IV, Police Quest I), composer (King’s Quest II, Space Quest II), even interface designer on Sierra’s very own database program “HomeWord Filer.” He is also one of the fathers of The Sierra Network (1991). By 1984, Lowe got the chance to write, design and program his own graphic adventure game, “The Black Cauldron.”Target audience: still kids. But that was to change in 1987. In 1987, Al Lowe gave birth to the most notorious, single-minded game character there is: Larry Laffer. A born loser constantly on the look-out for women, Larry instantly conquered the hearts (and certain other organs) of gamers everywhere. Besides being daringly explicit for its time, “Leisure Suit Larry in the Land of the Lounge Lizards” was also full of humour. These two major innovations–being the first adult graphic adventure and the first comedy game–made LSL 1 a classic and (probably more important for Al) a best-seller. See the trivia section of the game entry for an extensive quote on the development of Leisure Suit Larry. After that, Al Lowe spent most of his years continuing the saga of Larry Laffer. He created five additional games for a total of six, ending with episode seven. Puzzled? Check out the trivia section for Leisure Suit Larry 5 to unravel the mystery of the missing adventure. 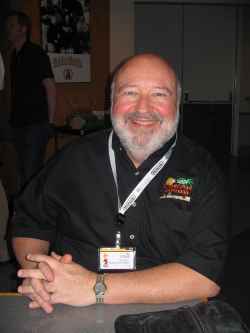 Between episodes, he managed to design the western comedy“Freddy Pharkas: Frontier Pharmacist” (1993) and the parents-plus-children fantasy adventure, “Torin’s Passage” (1995). By 1999, plans were made to send Larry Laffer into his eighth game. Puzzled again? “Larry’s Casino,” a hybrid of Larry’s humour and Hoyle’s games, came out in 1998. But “Leisure Suit Larry 8: Lust in Space” was not meant to be. As the 90s were nearing their end, so were traditional “flat” adventure games. If there was to be a Leisure Suit Larry 8, it had thus to be in 3D. Games like “Grim Fandango” had already taken the first step into the new dimension. Al Lowe was ready to go, too; however, Sierra was not. The company had just suffered through a year of bad sales. As the costs for each project were growing in the millions, the meagre earnings were far from sufficient to cover the expenses — even for the titles already in production. Without the necessary money, the decision to fund a Larry 8 was delayed several times. Finally, the debts grew too high. The costs had to be cut — severely. In February 1999, Sierra not only closed its Yosemite Studios, it laid off Al Lowe. After 16 years of working for one company, Lowe was ready for retirement. Q: If you knew you had ten minutes to live, how would you use the time? Q: How would you want your obituary to read?